Watford defied their injury crisis to ease into the fourth round of the FA Cup with a 2-0 victory over Burton at Vicarage Road. Christian Kabasele and Jerome Sinclair struck in each half of an otherwise uneventful tie that produced few thrills and even fewer chances, although the Hornets could take satisfaction from their clinical touch. It was Watford's first win since December 10 to end a run of four defeats and a draw that has nudged them down the Premier League and the result provides a lift as they battle a host of injuries and the bug that swept through their squad last week. Burton, who are struggling at the wrong end of the Championship, barely fired a shot and were also troubled by the sight of Luke Varney being carried from the pitch on a stretcher after appearing to have been knocked out. 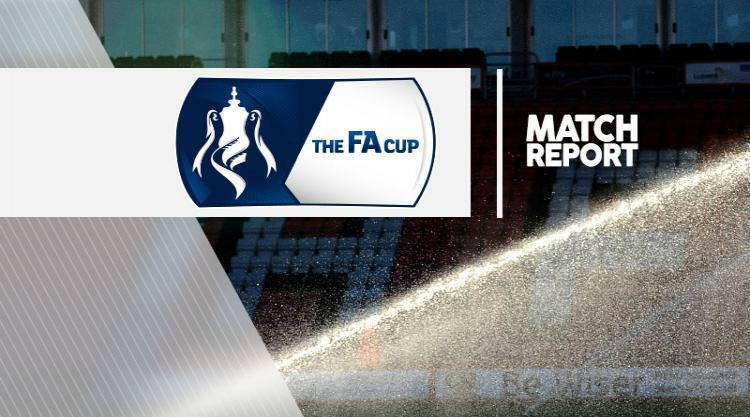 Both teams have slid down their respective leagues in the past month and made a host of changes, Watford adjusting five of their starting line-up, including a debut for full-back Brandon Mason, and Burton bringing in six new faces. Mason made an early impression in his first Hornets appearance by setting up the opener in the 22nd minute, escaping down the left wing and steering a dangerous pass into the six-yard. Burton's defence was all at sea and even though the cross eluded Odion Ighalo, an unmarked Kabasele was positioned at the far post where he casually tapped the ball into the net. It was a worrying start for the visitors, who continued to come under pressure with Troy Deeney blazing narrowly over the crossbar. Marcus Harness offered Burton their best route into the home area, but his occasional charge was eclipsed by the speed of Watford's attacks. There were signs that the Premier League club were not having it all their own way, however, as they spent lengthy spells approaching half-time defending the final third. Goalkeeper Costel Pantilimon was forced to punch the ball away as Burton skilfully threaded their way into a scoring position, but Watford reacted to the threat decisively and were soon causing problems themselves through Abdoulaye Doucoure's chaotically effective run. The first 15 minutes of the second half passed without event, although that might have been different had Deeney showed greater skill when attempting to control the ball on the edge of the area. Play was held up for several minutes after Varney took a heavy blow to the head during an aerial collision and having received treatment, he was taken from the pitch. Burton were becoming increasingly ragged and in the 77th minute they cracked for a second time with acres of space beckoning to a weaving Sinclair and having reached the edge of the area, he rifled the ball past a diving Jon McLaughlin. McLaughlin produced a brilliant late save to deny Deeney, but the result had already been sealed.